Discussion in 'Publishing' started by Jonathan Pascual, Sep 4, 2013. Hi, this is my first thread here and I was wondering about everything. I recently got into writing more than before. I used to write stories in school and professors would tell me that I was one of those who really get into the stories and put a lot effort into it. This has been years ago and recently I just ended up liking even more. I made a story about 9/10pgs long and another one to come. Anyways I was wondering about what people say, "how can I make it into a novel," is this hard to do or is it really expensive not just an average person like me can't do (only big companies or famous authors)? And "how can I turn stories into an ebook," is this harder than making it into a novel or more expensive (again, for a ordinary/average person like me)? I have seen sites like how to turn stories into an ebook or novel for just $10 (I've seen a site that said this) and I would assume that making it into a novel. Is the price worth it and what should be the okay to pay to making it into an ebook and novel? Or can sites be free? I don't mind doing either of them. Can anyone do the same and is it the same thing as making stories into a novel and ebook? I was really hoping people can read my stories and like others said here, "maybe make a few $$." I would just like to know about my stories though most importantly, even if it doesn't mean pay. Or is this not really for everybody (I mean as in everybody who enjoy writing). You can publish an eBook for free, but some people invest in an editor and a cover artist. It's no guarantee anyone will buy your book. Yea, I understand that especially since I barely made one (chances are odds or in other words, really more impossible), but I would really like to know how to do them, just searching for "how to make an ebook?" I would like more of a place where people can read and think how sucky or great my story was, even if I don't get paid and stuff. An ebook is simply any book that you read electronically. Take Harry Potter, which is a novel - if you downloaded a copy to your kindle or iphone or ipad, you would have Harry Potter the ebook. And a novel is simply a story that is, on average, at about 80,000 words or more. So if you wanted to make your short stories into an ebook, that is possible. It is also possible to make a novel into an ebook (instead of printing one and getting a hard copy). I just don't understand why you're saying "I want to turn stories into an ebook or novel" - what's the difference? They're not mutually exclusive. As for platforms - try Smashwords, Lulu.com and Amazon. You can do it for free. I would like more of a place where people can read and think how sucky or great my story was, even if I don't get paid and stuff. Then you should consider publishing your stories on a blog, or here on the forum, for practice. Anything you publish in that way will probably never get traditionally published (because by putting it out on the net you effectively used first publishing rights, same thing with ebooks) but it sounds like you have passion for writing and are just starting out. It'll take many, many words of practice before you are able to translate your ideas effectively into a novel. You might want to take a look at this issue when it comes to posting online, but as long as you don't care if someone takes your stuff (it's still yours but you might have to stop people who are using it), there are dozens of places you can post online that other people can read. 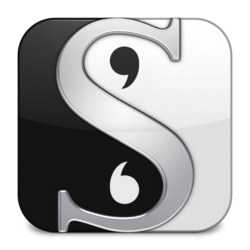 If you are new at this, I recommend you post chapters or short stories here in the Writer's Workshop. Start by reading what other people have posted, you need to offer your input on a couple pieces before you can ask other people to give you input. But I think it's the best place for you to start.